due to how much water is present. left us with no choice but to issue this statement. that we have taken this tough decision in order that we will be allowed to return. booked the hotel must cancel their booking now. difficult decision we have been forced to make. paid and we ask for your continued support for the new date for the 2014 XPart rally. 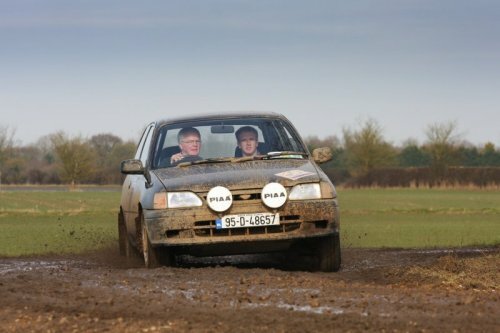 The XPart Rally is a day/night endurance road rally for lightly modified two-wheel drive cars limited to 1400cc petrol, 2000cc naturally aspirated diesel, and 1400cc forced induction diesel engines, built to the Endurance Road Rally formula. This event will be run in support of Help for Heroes; last year CMC events raised over £3000 for charity. Starting mid-morning on Saturday 15th February 2014, the route will be centred around Bury St Edmunds, with over 100 miles of selectifs at various venues in Suffolk, Norfolk, Cambridge and Essex. The day leg start will be from the Quality Hotel, Bury St Edmunds (the same hotel as last year, but with a new name), including breaks for lunch and tea followed by a supper halt at the Quality Hotel. The supper halt is included in the entry fee. The day leg is approximately 200 miles with approximately 80 miles of selectifs and some jogularity sections between tests. The night leg will be approximately 120 miles including 20 miles of selectifs and approximately 20 miles of simple navigation on tarmac lanes (full night leg road book issued at supper). The event will finish with an awards presentation at the Quality Hotel, Bury St Edmunds. A special rate has been negotiated with the hotel for those crews who wish to stay Friday 15th / Saturday 16th and/or join the organisers in the bar after the event. The route instructions will be straightforward. Tulip road books and marked maps will be provided and complemented with detailed selectif diagrams to ensure that crews of all abilities can complete the rally.